Ripples in a Galactic pond. Star formation rates on the galactic scale are describedphenomenologically by two distinct relationships, as emphasized recentlyby Elmegreen [Elmegreen, B.G., 2002. ApJ, 577, 206. astro-ph/0207114. ].The first of these is the Schmidt law, which is a power-law relationbetween the star formation rate SFR and the column density Σ. Theother relationship is that there is a cutoff in the gas density belowwhich star formation shuts off. The purpose of this paper is to arguethat: (1) these two relationships can be accommodated by a singlefunctional form of the Schmidt law, (2) this functional form ismotivated by the hypothesis that star formation is a criticalphenomenon, and that as a corollary, (3) the existence of a sharp cutoffmay thus be an emergent property of galaxies, as was argued by Seiden[Seiden, P.E.,1983. ApJ, 266, 555. ], as opposed to the classical viewthat this cutoff is due to an instability criterion. We present a monitoring study of SN 2004A and probable discovery of aprogenitor star in pre-explosion Hubble Space Telescope (HST) images.The photometric and spectroscopic monitoring of SN 2004A show that itwas a normal Type II-P which was discovered in NGC 6207 about two weeksafter explosion. We compare SN 2004A to the similar Type II-P SN 1999emand estimate an explosion epoch of 2004 January 6. 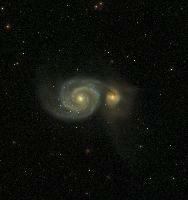 We also calculatethree new distances to NGC 6207 of 21.0 +/- 4.3,21.4 +/- 3.5 and 25.1+/- 1.7Mpc. The former was calculated using the Standard Candle Method(SCM) for SNeII-P, and the latter two from the brightest supergiantsmethod (BSM). We combine these three distances with existing kinematicdistances, to derive a mean value of 20.3 +/- 3.4Mpc. Using thisdistance, we estimate that the ejected nickel mass in the explosion is0.046+0.031-0.017Msolar. The progenitorof SN 2004A is identified in pre-explosion WFPC2 F814W images with amagnitude of mF814W = 24.3 +/- 0.3, but is below thedetection limit of the F606W images. We show that this was likely a redsupergiant (RSG) with a mass of9+3-2Msolar. The object is detected at4.7σ above the background noise. Even if this detection isspurious, the 5σ upper limit would give a robust upper mass limitof 12Msolar for a RSG progenitor. These initial masses arevery similar to those of two previously identified RSG progenitors ofthe Type II-P SNe 2004gd (8+4-2Msolar)and 2005cs (9+3-2Msolar). We independently redetermine the reddening and age of the globularcluster (GC) 037-B327 in M31 by comparing independently obtainedmulticolour photometry with theoretical stellar population synthesismodels. 037-B327 has long been known to have a very large reddeningvalue, which we confirm to be E(B - V) = 1.360 +/- 0.013, in goodagreement with the previous results. We redetermine its most likely ageat 12.4 +/- 3.2 Gyr.037-B327 is a prime example of an unusually bright early counterpart tothe ubiquitous `super' star clusters presently observed in mosthigh-intensity star-forming regions in the local Universe. In order tohave survived for a Hubble time, we conclude that its stellar initialmass function (IMF) cannot have been top-heavy. Using this constraint,and a variety of simple stellar population (SSP) models, we determine aphotometric mass of , somewhat depending on the SSP models used, themetallicity and age adopted and the IMF representation. This mass, andits relatively small uncertainties, makes this object the most massivestar cluster of any age in the Local Group. Assuming that thephotometric mass estimate thus derived is fairly close to its dynamicalmass, we predict that this GC has a (one-dimensional) velocitydispersion of the order of (72 +/- 13) km s-1. As a surviving`super' star cluster, this object is of prime importance for theoriesaimed at describing massive star cluster evolution. Improved data reduction techniques for three-dimensional (3D) data cubesobtained from Fabry-Perot integral field spectroscopy are presented.They provide accurate sky emission subtraction and adaptive spatialbinning and smoothing. They help avoiding the effect analogous to thebeam smearing, seen in HI radio data, when strong smoothing is appliedto 3D data in order to get the most extended signal coverage. The datareduction techniques presented in this paper allow one to get the bestof both worlds: high spatial resolution in high signal-to-noise regionsand large spatial coverage in low signal-to-noise regions. 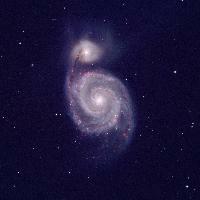 Oxygen abundances in the spiral galaxies expected to be richest inoxygen are estimated. The new abundance determinations are based on therecently discovered ff relation between auroral and nebular oxygen-linefluxes in high-metallicity HII regions. We find that the maximumgas-phase oxygen abundance in the central regions of spiral galaxies is12+log(O/H) ~ 8.75. This value is significantly lower (by a factor of>~5) than the previously accepted value. The central oxygen abundancein the Milky Way is similar to that in other large spirals. We present smoothed particle hydrodynamic (SPH) simulations of theresponse of gas discs to a spiral potential. 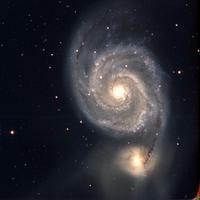 These simulations show thatthe commonly observed spurs and feathering in spiral galaxies can beunderstood as being due to structures present in the spiral arms thatare sheared by the divergent orbits in a spiral potential. 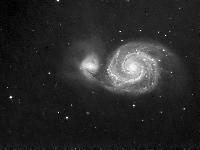 Thus, densemolecular cloud-like structures generate the perpendicular spurs as theyleave the spiral arms. Subsequent feathering occurs as spurs are furthersheared into weaker parallel structures as they approach the next spiralpassage. Self-gravity of the gas is not included in these simulations,stressing that these features are purely due to the hydrodynamics inspiral shocks. Instead, a necessary condition for this mechanism to workis that the gas need be relatively cold (1000 K or less) in order thatthe shock is sufficient to generate structure in the spiral arms, andsuch structure is not subsequently smoothed by the gas pressure. This is the first part of an Hαkinematics follow-up survey of theSpitzer Infrared Nearby Galaxies Survey (SINGS) sample. The data for28galaxies are presented. The observations were done on three differenttelescopes with Fabry-Perot of New Technology for the Observatoire dumont Megantic (FaNTOmM), an integral field photon-counting spectrometer,installed in the respective focal reducer of each telescope. The datareduction was done through a newly built pipeline with the aim ofproducing the most homogenous data set possible. Adaptive spatialbinning was applied to the data cubes in order to get a constantsignal-to-noise ratio across the field of view. Radial velocity andmonochromatic maps were generated using a new algorithm, and thekinematical parameters were derived using tilted-ring models. The lifetime of the structure in grand design spiral galaxies isobservationally ill-determined, but is essentially set by how accuratelythe rotation of the pattern can be characterized by a single angularpattern speed. This paper derives a generalized version of theTremaine-Weinberg method for observationally determining pattern speeds,in which the pattern speed is allowed to vary arbitrarily with radius.The departures of the derived pattern speed from a constant then providea simple metric of the lifetime of the spiral structure. Application ofthis method to CO observations of NGC 1068 reveals that the patternspeed of the spiral structure in this galaxy varies rapidly with radius,and that the lifetime of the spiral structure is correspondingly veryshort. If this result turns out to be common in grand-design spiralgalaxies, then these features will have to be viewed as highly transientphenomena. We present SAURON integral field spectrography of the central 1.5 kpc ofthe nearby Seyfert 2 galaxy NGC 1068, encompassing the well-knownnear-infrared (NIR) inner bar observed in the K band. We havesuccessively disentangled the respective contributions of the ionizedgas and stars, thus deriving their two-dimensional distribution andkinematics. 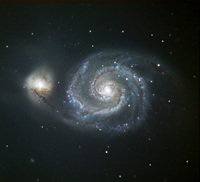 The [OIII] and Hβ emission lines exhibit a verydifferent spatial distribution and kinematics, the latter followinginner spiral arms with clumps associated with star formation. Stronginward streaming motions are observed in both the Hβ and [OIII]kinematics. The stellar kinematics also exhibit clear signatures of anon-axisymmetric tumbling potential, with a twist in both the velocityand Gauss-Hermite h3 fields. We re-examined the long-slitdata of Shapiro, Gerssen & van der Marel using a pPXF: a strongdecoupling of the Gauss-Hermite term h3 is revealed, and thecentral decrease of Gauss-Hermite term h4 hinted in theSAURON data is confirmed. These data also suggest that NGC 1068 is agood candidate for a so-called σ drop. We confirm the possiblepresence of two separate pattern speeds applying the Tremaine-Weinbergmethod to the Fabry-Perot Hα map. We also examine the stellarkinematics of bars formed in N-body+smoothed particle hydrodynamics(SPH) simulations built from axisymmetric initial conditionsapproximating the luminosity distribution of NGC 1068. The resultingvelocity, dispersion and higher order Gauss-Hermite moments successfullyreproduce a number of properties observed in the two-dimensionalkinematics of NGC 1068 and the long-slit data, showing that thekinematic signature of the NIR bar is imprinted in the stellarkinematics. The remaining differences between the models and theobserved properties are likely mostly due to the exclusion of starformation and the lack of the primary large-scale oval/bar in thesimulations. These models nevertheless suggest that the inner bar coulddrive a significant amount of gas down to a scale of ~ 300 pc. Thiswould be consistent with the interpretation of the σ drop in NGC1068 being the result of central gas accretion followed by an episode ofstar formation. We examine, from a theoretical viewpoint, how the physical parameters ofH II regions are controlled in both normal galaxies and in starburstenvironments. These parameters are the H II region luminosity function,the time-dependent size, the covering fraction of molecular clouds, thepressure in the ionized gas, and the ionization parameter. The factorsthat control them are the initial mass function (IMF) of the excitingstars, the cluster mass function, the metallicity, and the mean pressurein the surrounding interstellar medium. We investigate the sensitivityof the Hα luminosity to the IMF, and find that this can translateto more than a factor 2 variation in derived star formation rates. Themolecular cloud dissipation timescale is estimated from a case study ofM17 to be ~1 Myr for this object. Based on H II luminosity functionfitting for nearby galaxies, we suggest that the H II region clustermass function is fitted by a lognormal form peaking at ~100Msolar. 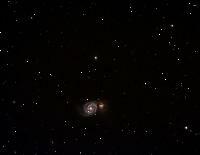 The cluster mass function continues the stellar IMFto a higher mass regime. The pressure in the H II regions is controlledby the mechanical luminosity flux from the central cluster. Since thisis closely related to the ionizing photon flux, we show that theionization parameter is not a free variable, and that the diffuseionized medium may be composed of many large, faint, and old H IIregions. Finally, we derive theoretical probability distributions forthe ionization parameter as a function of metallicity and compare theseto those derived for SDSS galaxies. We present deep integrated-light spectroscopy of nine M33 globularclusters taken with the Hectospec instrument at the MMT Observatory.Based on our spectroscopy and previous deep color-magnitude diagramsobtained with HST WFPC2, we present evidence for the presence of agenuine intermediate-age globular cluster in M33. The analysis of Lickline indices indicates that all globular clusters are metal-poor([Z/H]<~-1.0) and that cluster M33-C38 is ~5-8 Gyr younger than therest of the sample M33 star clusters. We find no evidence for apopulation of blue horizontal-branch stars in the CMD of M33-C38, whichrules out the possibility of an artificially young spectroscopic age dueto the presence of hot stars. We infer an initial mass of(0.8-1.2)×105 Msolar for M33-C38, whichimplies that intermediate-age clusters with masses similar to those ofGalactic globular clusters were able to form and survive in M33,although it is not yet clear with which dynamical component of M33-thindisk, thick disk, halo-the cluster is associated.Based on observations obtained with the Hectospec instrument at the MMTObservatory. The MMT Observatory is a joint venture of the SmithsonianInstitute and the University of Arizona. Also based on observations madewith the NASA/ESA Hubble Space Telescope, obtained from the data archiveat the Space Telescope Science Institute. STScI is operated by theAssociation of Universities for Research in Astronomy, Inc., under NASAcontract NAS5-26555. The Seyfert 1 nucleus of NGC 4395 is energized by a black hole of mass3.6×105 Msolar, making it one of only twonuclear black holes of intermediate mass, 103-106Msolar, detected in the radio regime. Building on UV andX-ray evidence for outflows from this Seyfert nucleus, the VLBI HighSensitivity Array was used at 1.4 GHz to search for extended structureon scales greater than 5 mas (0.1 pc). Elongated emission wasdiscovered, extending over 15 mas (0.3 pc) and suggesting an outflow onsubparsec scales from this intermediate-mass black hole. The Seyfertnucleus is located at the center of an elliptical star cluster, and theelongation position angle of the subparsec radio structure is only19° from the star cluster's minor axis. Observational Constraints on the Ages of Molecular Clouds and the Star Formation Timescale: Ambipolar-Diffusion-controlled or Turbulence-induced Star Formation? We revisit the problem of the star formation timescale and the ages ofmolecular clouds. The apparent overabundance of star-forming molecularclouds over clouds without active star formation has been thought toindicate that molecular clouds are ``short-lived'' and that starformation is ``rapid.'' We show that this statistical argument lacksself-consistency and, even within the rapid star formation scenario,implies cloud lifetimes ~10 Myr. We discuss additional observationalevidence from external galaxies that indicate lifetimes of molecularclouds and a timescale of star formation of ~107. These longcloud lifetimes, in conjunction with the rapid (~1 Myr) decay ofsupersonic turbulence, present severe difficulties for the scenario ofturbulence-controlled star formation. By contrast, we show that all 31existing observations of objects for which the line width, the size, andthe magnetic field strength have been reliably measured are in excellentquantitative agreement with the predictions of the ambipolar-diffusiontheory. Within the ambipolar-diffusion-controlled star formation theory,the line widths may be attributed to large-scale nonradial cloudoscillations (essentially standing large-amplitude, long-wavelengthAlfvén waves), and the predicted relation between the line width,the size, and the magnetic field is a natural consequence of magneticsupport of self-gravitating clouds. We investigate the growth of spiral-arm substructure in verticallystratified, self-gravitating, galactic gas disks, using local numericalMHD simulations. Our new models extend our previous two-dimensionalstudies, which showed that a magnetized spiral shock in a thin disk canundergo magneto-Jeans instability (MJI), resulting in regularly spacedinterarm spur structures and massive gravitationally bound fragments.Similar spur (or ``feather'') features have recently been seen inhigh-resolution observations of several galaxies. Here we consider twosets of numerical models: two-dimensional simulations that use a``thick-disk'' gravitational kernel, and three-dimensional simulationswith explicit vertical stratification. Both models adopt an isothermalequation of state with cs=7 km s-1. When disks aresufficiently magnetized and self-gravitating, the result in both sortsof models is the growth of spiral-arm substructure similar to that inour previous razor-thin models. Reduced self-gravity due to nonzero diskthickness increases the spur spacing to ~10 times the Jeans length atthe arm peak. Bound clouds that form from spur fragmentation have masses~(1-3)×107 Msolar each, similar to thelargest observed GMCs. The mass-to-flux ratios and specific angularmomenta of the bound condensations are lower than large-scale galacticvalues, as is true for observed GMCs. We find that unmagnetized orweakly magnetized two-dimensional models are unstable to the ``wiggleinstability'' previously identified by Wada & Koda. However, ourfully three-dimensional models do not show this effect. Nonsteadymotions and strong vertical shear prevent coherent vortical structuresfrom forming, evidently suppressing the wiggle instability. We also findno clear traces of Parker instability in the nonlinear spiral armsubstructures that emerge, although conceivably Parker modes may helpseed the MJI at early stages since azimuthal wavelengths are similar. In 240 days of X-ray monitoring of M82, we have discovered an X-rayperiodicity at 62.0+/-2.5 days with a peak-to-peak amplitudecorresponding to an isotropic luminosity of 2.4×1040ergs s-1 in M82 and an X-ray flare reaching a peak luminosityof 9.8×1040 ergs s-1. The periodicity andflare likely originate from the ultraluminous X-ray source (ULX) in M82,which has been identified as a possible intermediate-mass black hole. Wesuggest that the 62 day modulation is due to orbital motion within anX-ray binary with a Roche lobe overflowing companion star, which wouldimply that the average density of the companion star is near5×10-5 g cm-3 and is therefore a giant orsupergiant. Chandra observations just after the flare show an energyspectrum that is consistent with a power law with no evidence of athermal component or line emission. Radio observations made with the VLAduring the flare allow us to rule out a blazar identification for thesource and place strong constraints on relativistically beamed models ofthe X-ray emission. The Chandra observations reveal that a second X-raysource reached a flux of 4.4×10-12 ergs cm-2s-1 in the 0.3-7 keV band, which is dramatically higher thanany flux previously seen from this source and corresponds to anisotropic luminosity of 1.1×1040 ergs s-1.This source is a second ultraluminous X-ray source in M82 and may giverise to the QPOs detected from the central region of M82. Mid-infrared diagnostics are presented for a large portion of theSpitzer Infrared Nearby Galaxies Survey (SINGS) sample plus archivaldata from ISO and Spitzer. The SINGS data set includes low- andhigh-resolution spectral maps and broadband imaging in the infrared forover 160 nuclear and extranuclear regions within 75 nearby galaxiesspanning a wide range of morphologies, metallicities, luminosities, andstar formation rates. Our main result is that these mid-infrareddiagnostics effectively constrain a target's dominant power source. Thecombination of a high-ionization line index and PAH strength serves asan efficient discriminant between AGNs and star-forming nuclei,confirming progress made with ISO spectroscopy on starbursting andultraluminous infrared galaxies. The sensitivity of Spitzer allows us toprobe fainter nuclear and star-forming regions within galaxy disks. Wefind that both star-forming nuclei and extranuclear regions stand apartfrom nuclei that are powered by Seyfert or LINER activity. In fact, weidentify areas within four diagnostic diagrams containing >90%Seyfert/LINER nuclei or >90% H II regions/H II nuclei. We also findthat, compared to starbursting nuclei, extranuclear regions typicallyseparate even further from AGNs, especially for low-metallicityextranuclear environments. In addition, instead of the traditionalmid-infrared approach to differentiating between AGNs and star-formingsources that utilizes relatively weak high-ionization lines, we showthat strong low-ionization cooling lines of X-ray-dominated regions like[Si II] 34.82 μm can alternatively be used as excellentdiscriminants. Finally, the typical target in this sample showsrelatively modest interstellar electron density (~400 cm-3)and obscuration (AV~1.0 mag for a foreground screen),consistent with a lack of dense clumps of highly obscured gas and dustresiding in the emitting regions. 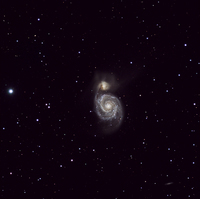 We present the results of a search for optical identifications ofultraluminous X-ray sources (ULXs) in M51 by using mosaic images takenwith the Hubble Space Telescope(HST) Advanced Camera for Surveys (ASC)in filters F435W (B), F555W (V), F814W (I), and F658N (Hα). Oursample, consisting of nine ULXs, is defined by analyzing the threeChandra observations of M51 performed in 2000 June, 2001 June, and 2003August. We found that four ULXs have one or two candidates forcounterparts, while two have multiple stars within their error circles.The other three have no candidate counterparts. 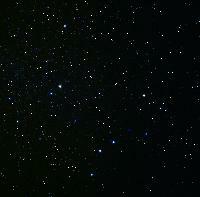 Four ULXs are locatednear or in a star cluster, while others have no association with acluster. These results indicate that the companion stars, environments,and origins of ULXs are probably heterogeneous. The distributions of size and luminosity for star-forming regions in thenearby spiral galaxy NGC 628 are studied over a wide range of scalesusing progressively blurred versions of an image from the Hubble SpaceTelescope Advanced Camera for Surveys. Four optical filters areconsidered for the central region, including Hα. Two filters areused for an outer region. The features in each blurred image are countedand measured using SExtractor. The cumulative size distribution is foundto be a power law in all passbands, with a slope of approximately -1.5over 1.8 orders of magnitude. The luminosity distribution isapproximately a power law as well, with a slope of approximately -1 forlogarithmic intervals of luminosity. The results suggest a scale-freenature for stellar aggregates in a galaxy disk. Fractal models of thindisks reproduce the projected size distribution and suggest a projectedmass distribution slope of approximately -0.5 for these extendedregions. This mass slope converts to the observed luminosity slope if weaccount for luminosity evolution and longer lifetimes in larger regions. We use very deep Spitzer MIPS 24 μm observations to examine thebolometric luminosities (Lbol) and UV extinction propertiesof more than 200 spectroscopically identified, optically selected(UnGR) z~2 galaxies, supplemented with near-IR-selected(``BzK'' and ``DRG'') and submillimeter galaxies at similar redshifts,in the GOODS-N field. Focusing on redshifts 1.5<2.6, where 24μm observations measure the strength of the mid-IR PAH feature, wefind that the rest-frame 5-8.5 μm luminosities(L5-8.5μm) are particularly tightly constrained forobjects in our sample with precise spectroscopic redshifts. Wedemonstrate, using stacked X-ray observations and a subset of galaxieswith Hα measurements, that L5-8.5μm provides areliable estimate of LIR for most star-forming galaxies atz~2. We show that the range of LIR in theoptical/near-IR-selected samples considered extends from~=1010 to >1012 Lsolar, with a mean~=2×1011 Lsolar. Using24 μm observations as an independent probe of dust extinction, wefind that, as in the local universe, the obscurationLIR/L1600 is strongly dependent on Lboland ranges in value from <1 to ~1000 within the sample considered.However, the obscuration is generally ~10 times smaller at a givenLbol at z~2 than at z~0. We show that the values ofLIR and obscuration inferred from the UV spectral slopeβ generally agree well with the values inferred fromL5-8.5μm for Lbol<1012Lsolar. Using the specific SFRs of galaxies as a proxy forcold gas fraction, we find a wide range in the evolutionary state ofgalaxies at z~2, from galaxies that have just begun to form stars tothose that have already accumulated most of their stellar mass and areabout to become, or already are, passively evolving.Based, in part, on data obtained at the W. M. Keck Observatory, which isoperated as a scientific partnership among the California Institute ofTechnology, the University of California, and NASA and was made possibleby the generous financial support of the W. M. Keck Foundation. Alsobased in part on observations made with the Spitzer Space Telescope,which is operated by the Jet Propulsion Laboratory, California Instituteof Technology, under a contract with NASA. We present the results of a multiwavelength study of nearby galaxiesaimed at understanding the relation between the ultraviolet andfar-infrared emission in star-forming galaxies. The data set comprisesnew ultraviolet (from HST STIS), ground-based Hα, and radiocontinuum observations, together with archival infrared data (from IRASand ISO). The local galaxies are used as benchmarks for comparison ofthe infrared-to-ultraviolet properties with two populations ofhigh-redshift galaxies: the submillimeter star-forming galaxies detectedby SCUBA and the ultraviolet-selected Lyman break galaxies (LBGs). Inaddition, the long wavelength baseline covered by the present dataenables us to compare the star formation rates (SFRs) derived from theobserved ultraviolet, Hα, infrared, and radio luminosities and togauge the impact of dust opacity in the local galaxies. We also derive anew calibration for the nonthermal part of the radio SFR estimator,based on the comparison of 1.4 GHz measurements with a new estimator ofthe bolometric luminosity of the star-forming regions. We find that moreactively star-forming galaxies show higher dust opacities, which is inline with previous results. We find that the local star-forming galaxieshave a lower Fλ(205 μm)/Fλ(UV)ratio by 2-3 orders of magnitude than the submillimeter-selectedgalaxies and may have a similar or somewhat higherFλ(205 μm)/Fλ(UV) ratio thanLBGs. The Fλ(205 μm)/Fλ(UV) ratioof the local galaxy population may be influenced by the cool dustemission in the far-infrared heated by nonionizing stellar populations,which may be reduced or absent in the LBGs.Based on observations made with the NASA/ESA Hubble Space Telescope,which is operated by the Association of Universities for Research inAstronomy, Inc., under NASA contract NAS5-26555.Based on observations obtained with the Apache Point Observatory 3.5 mtelescope, which is owned and operated by the Astrophysical ResearchConsortium. The stars that end their lives as supernovae (SNe) have been directlyobserved in only a handful of cases, mainly because of the extremedifficulty of identifying them in images obtained prior to the SNexplosions. 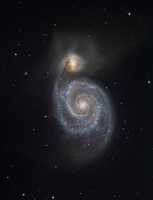 Here we report the identification of the progenitor for therecent Type II-plateau (core collapse) SN 2005cs in pre-explosionarchival images of the Whirlpool Galaxy (M51) obtained with the HubbleSpace Telescope (HST) Advanced Camera for Surveys (ACS). Fromhigh-quality ground-based images of the SN obtained with theCanada-France-Hawaii Telescope, we precisely determine the position ofthe SN and are able to isolate the SN progenitor to within 0.04" in theHST ACS optical images. We further pinpoint the SN location to within0.005" from HST ACS ultraviolet images of the SN, confirming ourprogenitor identification. From photometry of the SN progenitor obtainedwith the pre-SN ACS images, and also from limits to its brightness inpre-SN HST NICMOS images, we infer that the progenitor is a redsupergiant star of spectral type K3-M4 with initial mass 10+/-3Msolar. We also discuss the implications of the SN 2005csprogenitor identification and its mass estimate. There is an emergingtrend that the most common Type II-plateau SNe originate from low-masssupergiants (8-20 Msolar). Type IIP (plateau) supernovae are thought to come from stars withinitial mass ~8-25 Msolar that end their lives as redsupergiants. The expected stellar endpoints can be found fromevolutionary calculations, and the corresponding mass-loss properties atthese points can be estimated from typical values for Galactic stars.The mass-loss densities of observed supernovae can be estimated fromobservations of the thermal X-ray and radio synchrotron emission thatresult from the interaction of the supernova with the surrounding wind.Type IIP supernovae are expected to have energy-conserving interactionduring typical times of observation. Because Type IIP supernovae have anextended period of high optical luminosity, Compton cooling could affectthe radio-emitting electrons, giving rise to a relatively flat radiolight curve in the optically thin regime. Alternatively, a highefficiency of magnetic field production results in synchrotron coolingof the radio-emitting electrons. Both the X-ray and radio luminositiesare sensitive to the mass loss and initial masses of the progenitorstars, although the turn-on of radio emission is probably the bestestimator of circumstellar density. Both the mass-loss density and thevariation of density with stellar mass are consistent with expectationsfor the progenitor stars deduced from direct observations of recentsupernovae. Current observations are consistent with mass being the onlyparameter; observations of supernovae in metal-poor regions could showhow the mass loss depends on metallicity. We present a study of a faint fuzzy star cluster system in the nearbySB0 galaxy NGC 5195 interacting with the famous spiral galaxy NGC 5194(M51), based on HST ACS BVI mosaic images taken by the Hubble HeritageTeam. We have found about 50 faint fuzzy star clusters around NGC 5195that are larger than typical globular clusters with effective radiireff>7 pc and that are red with (V-I)>1.0. They aremostly fainter than MV~-8.3 mag. From the comparison of BVIphotometry of these clusters with the simple stellar population models,we find that they are as massive as ~105 Msolarand older than 1 Gyr. Strikingly, most of these clusters are found to bescattered in an elongated region almost perpendicular to the northernspiral arm of NGC 5194, and the center of the region is slightly northof the NGC 5195 center, while normal compact red clusters of NGC 5195are located around the bright optical body of the host galaxy. This isin contrast to the cases of NGC 1023 and NGC 3384 where the spatialdistribution of faint fuzzy clusters shows a ring structure around thehost galaxy. We suggest that at least some faint fuzzy clusters areexperiencing tidal interactions with the companion galaxy NGC 5194 andmust be associated with the tidal debris in the western halo of NGC5195.